There’s a ‘silent epidemic’ that affects 25% of adults and about 10% of every college campus. It’s called depression, and though no one likes to talk about their own stories, it’s leading some people to take their own lives every day. 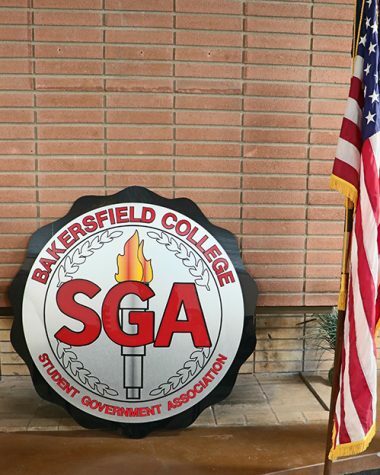 Bakersfield College’s Office of Student Life held an informative presentation discussing the causes, consequences, and stigmas relating to depression and suicide in the Grace Van Dyke Bird Library on Nov. 26. First, students were shown a TED Talk video featuring comedian Kevin Breel, a depression sufferer who openly talks and writes about his own struggle. “I have [suffered from depression] for the last six years of my life, and I continue to every day,” Breel said in the video. Breel talked about how a person’s personality is usually described by what he or she does on the surface. No one in that person’s social circle knows how that person feels behind closed doors. Students create paintings to portray their feelings after listening to a presentation about depression and suicide. The presentation moved on into depression and suicide statistics. 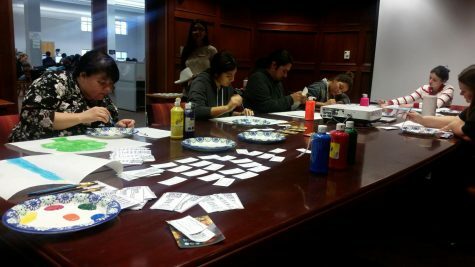 “Suicide is the second leading cause of death among college-aged population,” said Student Life Intern Anabel Jimenez. Disappointingly, suicide is the most preventable cause of death. “We’re not doing enough to prevent this,” Jimenez said of this irony. There is an estimated 3,200 students at BC who have thought about committing suicide at some point in their lives. Depression for college students is most prevalent at the end of the academic year. The presentation also discussed the different ways to cope with depression, such as exercising, eating healthy, finding new friends and hobbies, and dividing large tasks into smaller, more manageable goals. At the end of the discussion, students were given the opportunity to paint portraits to express their own emotions.